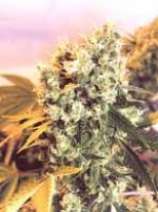 Here you can find a strain description about Haleys Comet and also some user-based reviews and infos directly from the SeedFinder (if available). You can also find the offers and auctions here if Haleys Comet cannabis seeds are on stock at MyCannapot right now. An Early Californian variety crossed with the Skunk #1,very homogenous fast maturing variety, suitable to grow outdoors in many temperate regions. A large percentage of the plants trigger into flower at the slightest reduction of photoperiod. Haley's Comet has a sweet, pungent taste and smell with a well balanced physical/cerebral high. High yielding and easy to grow. Fast heavy and easy to grow! Haleys Comet is not available at our shop at the moment!